Our spelling worksheets offer a wide variety of spelling activities, from drills for young kids just learning how to spell to exercises for older kids working on more complex word structures. 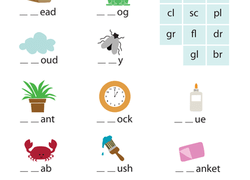 Exercises include letter rolls, vocabulary building, plurals practise, and more. We even cover more challenging topics such as the silent e and when to use "its" vs. "it's", which are often mixed up. Our Grammar worksheetsAre another good resource to help kids improve their writing skills. These picture names are each missing the first two letters which make a consonant blend. Kids choose the correct blend and write it to complete the word. 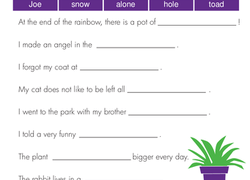 Help your second grader improve her reading fluency by reviewing consonant blends, with help from this complete the sentence worksheet. 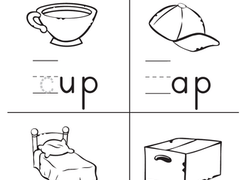 Each picture in this worksheet is missing the first three letters of its name. Kids choose the correct consonant blend from the boxes and complete the word. As children learn their ABCs and start linking sounds and letters together, spelling begins to play a pivotal role in the development of reading and writing fluency. That’s why we’ve developed and compiled an extensive selection of spelling worksheets that will ensure your child has all the tools, strategies, and practise necessary to make spelling second nature, whether they’re just beginning to recognise words or are preparing for the challenges of intermediate. 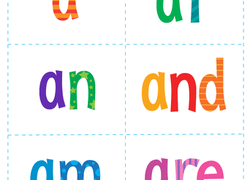 Sight words bingo, interactive alphabet charts, and creative coloring pages are great tools to introduce spelling to the littlest learners in a relaxed and inviting way. 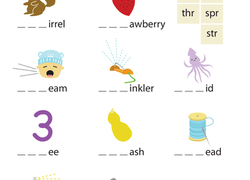 As kids get a little older, they’ll benefit from worksheets that help them sound out words with pictures, find and write missing letters, and discover and internalize important spelling patterns. For older kids, spelling gets more entertaining when homophones and homonyms lend themselves to funny puns. No matter the age, you can go beyond formal practise and work with your child at home to improve their spelling simply by reading together, as simple exposure to familiar and unfamiliar words on a regular basis can have a significant impact on spelling and vocabulary building skills.